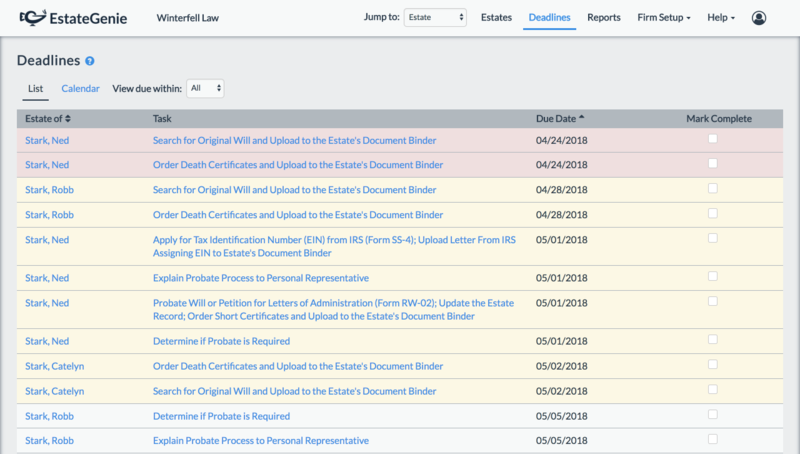 EstateGenie is modern estate administration software designed to help professionals efficiently manage multiple estates, organize and quickly access important information from anywhere, stay on top of deadlines, and work collaboratively with clients. 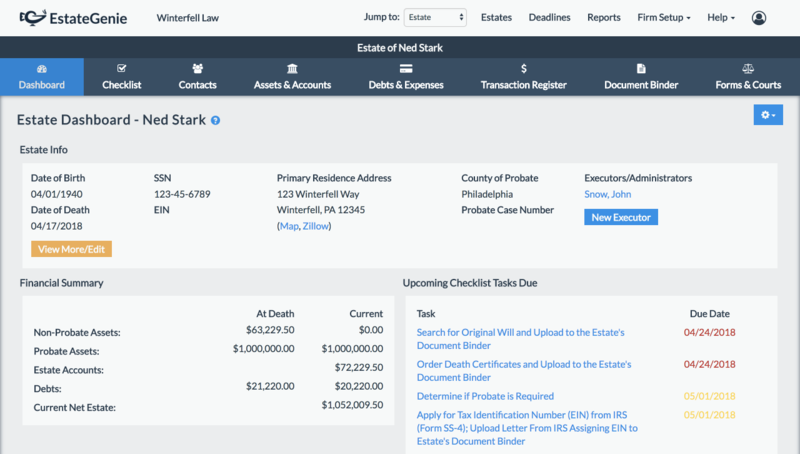 Manage all estates in one place. 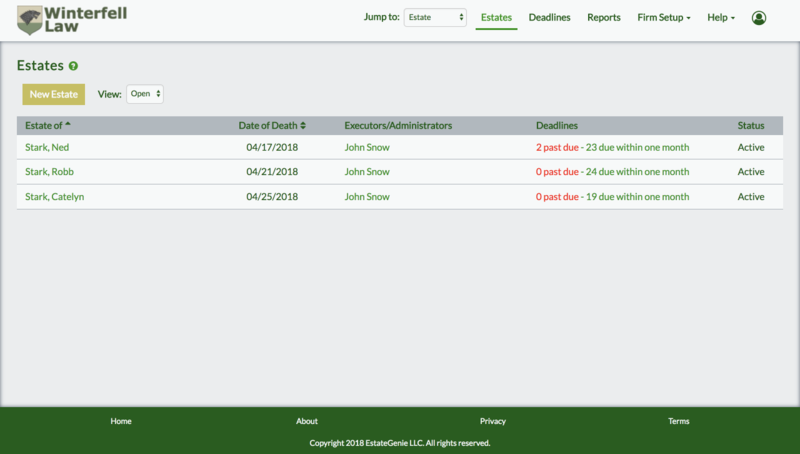 Stay on top deadlines, receive reminders, and integrate with calendars. 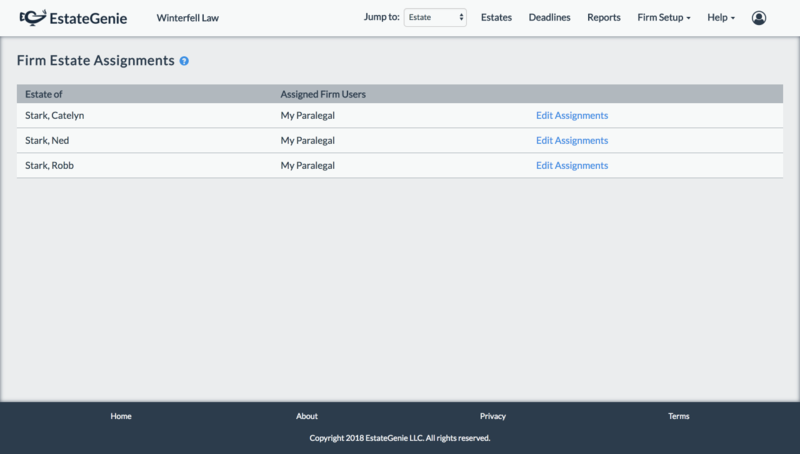 Manage users and assignments within your organization. 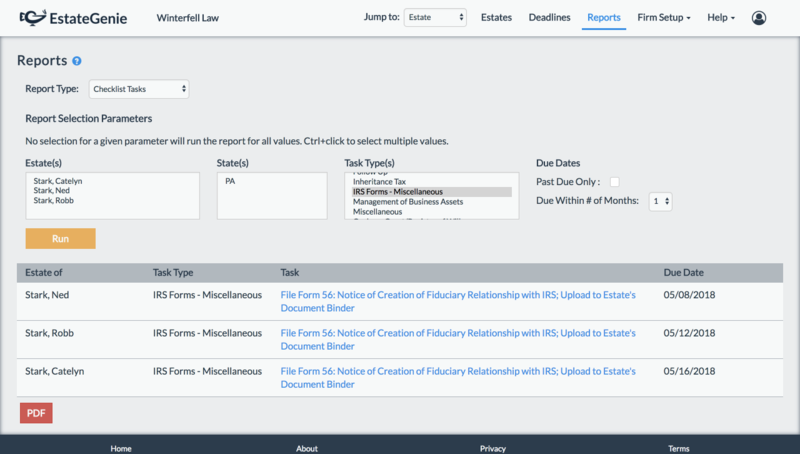 Run and download comprehensive and flexible reports. 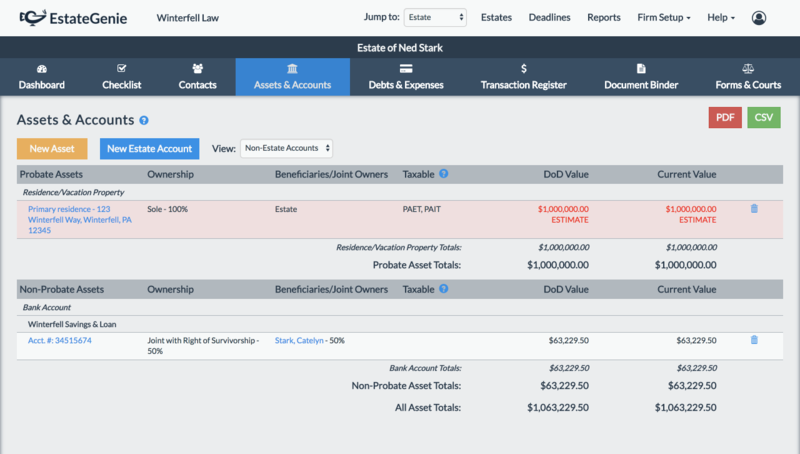 View a snapshot of important information on the estate dashboard. 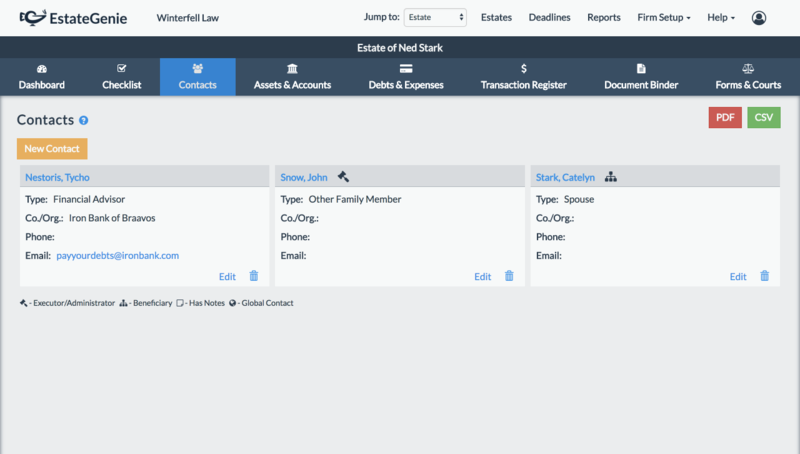 Manage all tasks related to the estate. 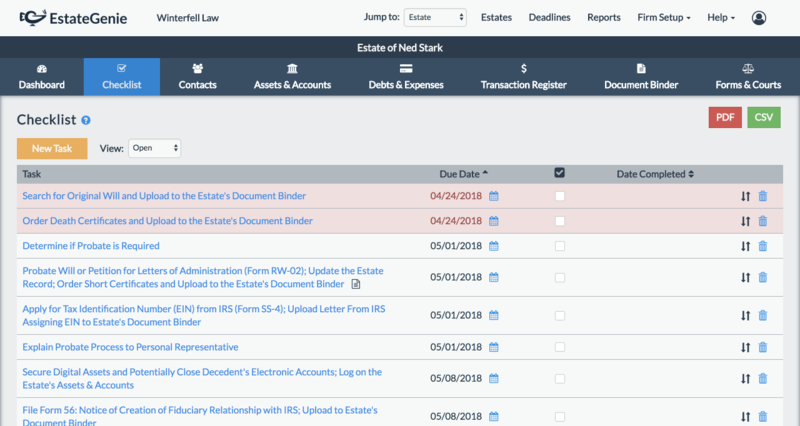 Log all assets, accounts, debts, and expenses of the estate. 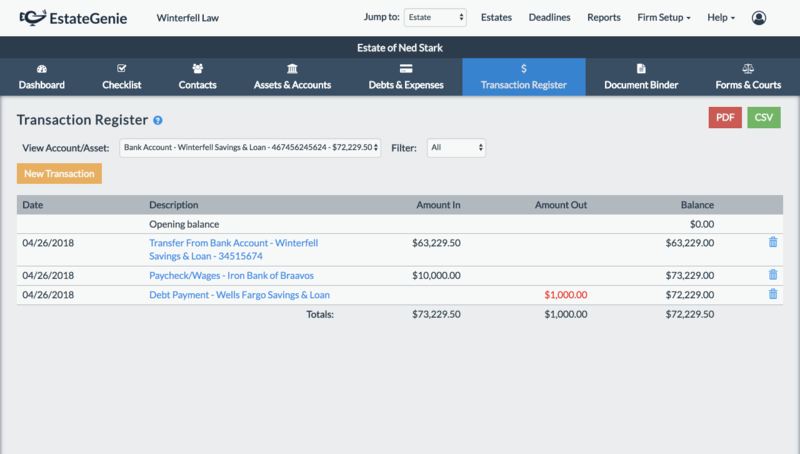 Log all transactions (payments, deposits, etc.) on the transaction register. Upload digital copies of important documents. 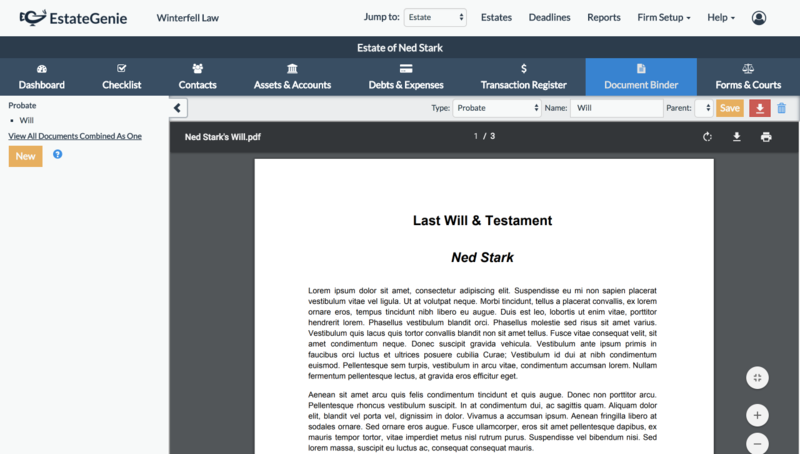 Log contacts important to the estate, such as executors, beneficiaries, accountants, and others. 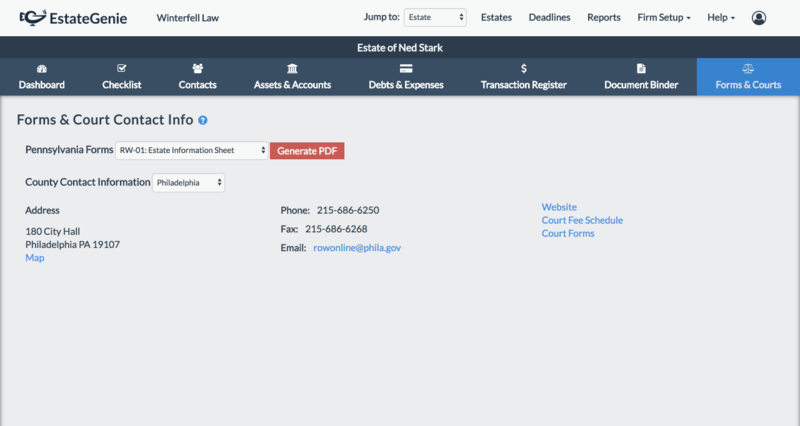 Generate legal forms, pre-filled where possible. 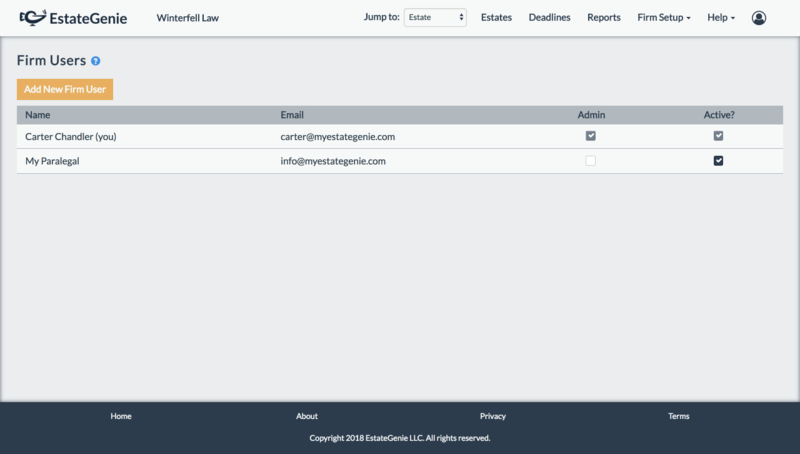 Quickly access court addresses, phone numbers, and emails. 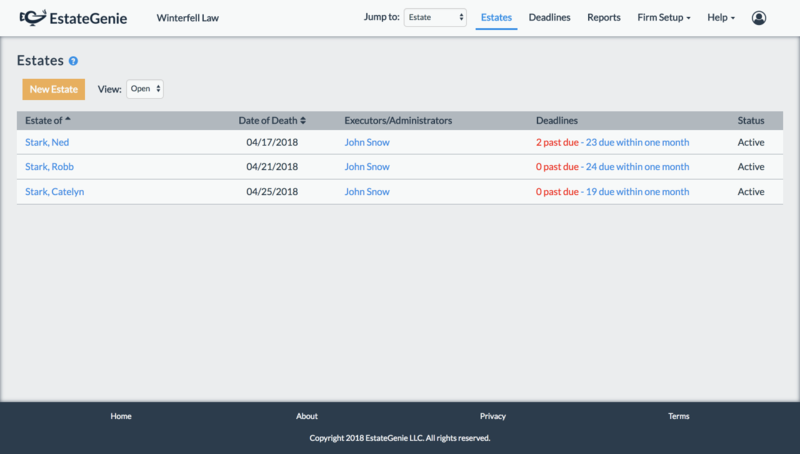 Grant contacts access to the estate and control what information they can view and update. The security of your data is our priority and we strive to go above and beyond industry best practices. All EstateGenie traffic is encrypted via HTTPS. All sensitive user data is additionally encrypted in the database. Our cloud hosting provider is certified under every major applicable compliance organization, including SOX and FISMA. EstateGenie provides best practice user account security measures, including Two Factor Authentication, as well as enterprise level controls that can be set based on your organization’s security policy, including password strength and session timeout settings. EstateGenie will never share your data with anyone without your consent. 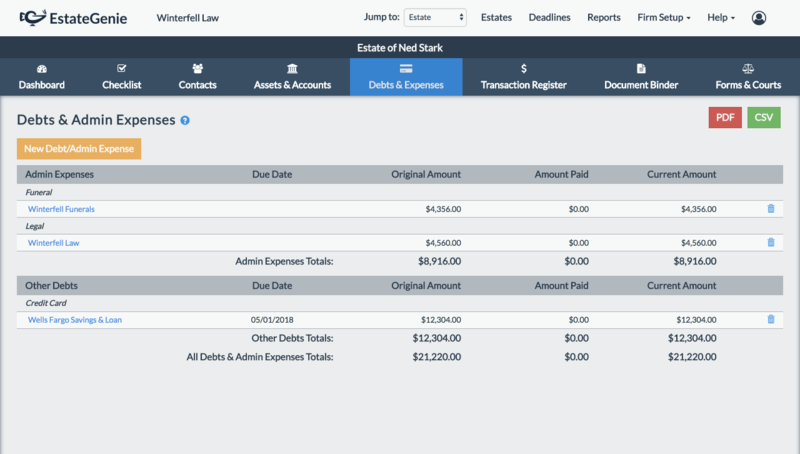 Copyright 2019 EstateGenie LLC. All rights reserved.